Beer is good – so are tunes- and when you are sitting around Tarn Aeluin, beer is big! Here’s my current top 10 beers and the music I’m most interested in lately by artist. My full beer list is here. Kane Head High On draft at Willie McBrides in Branchburg, NJ. Hop-tastic beer finally knocks Long Trail IPA and Ye Olde Tarvern off the top spot. Only available in New Jersey. Ballast Point Sculpin IPA On draft at the House of Beor! An excellent, crisp, hop-tastic, and golden-copper brew. Lots of floral and bitter hops combine to make this a magical experience. A bit $$$, but well worth it from one of the best brewers in the USA. 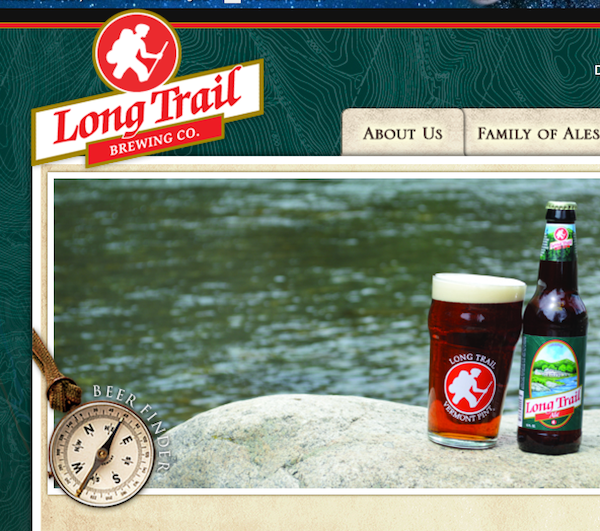 Long Trail IPA (served on draft at the Ye Olde Tavern, Manchester, VT USA): in my humble opinion the best beer in America, but only at this specific location. In a bottle it wouldn’t make the list. At the brewery maybe, but at this specific place it is a magical experience. Founder’s All Day Session IPA: Even out of the bottle this is a beer to experience. The hop kick and flavor is stunning. Drink up since it is a session beer! Troegs Nugget Nectar is a golden ale with great color and deep flavor without overwhelming you with heaviness. Best to get it on draft – Buttonwood Grill in Lahaska, PA in the spring – it is a seasonal beer. Last year Central Liquors in Flemington, NJ surprised me by getting a keg for me 🙂 Nice guys there. Sierra Nevada Celebration Ale: After much consideration this ale must make my top ten. Rich and hoppy with one of the most incredible heads on an ale, it is a treat any time of the year and I’ll stock it in my kegerator whenever I can get it. Green Flash West Coast IPA try to get this on tap. There are a few places in the Philly area that have it. A wonderful hop-tastic experience. Pils – La Biere Togolaise really cold, in Cotonou, Benin, and with friends is what makes this crisp and light lager special. The only lager in the top 10! Anchor Steam (San Francisco – draft only): Another specialty beer best consumed on its native turf. Dark and malty, but also not too filling. Anchor is an American original for beer so get it and enjoy. What about the music? I won’t go into detail. If you don’t know the names…google works…here’s a few things I listen to.